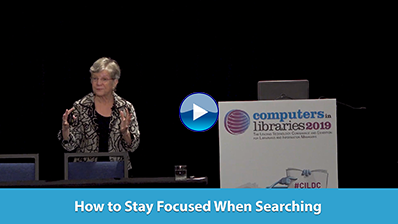 Take your search skills to the next level! Today's difficult economy requires info pros to keep on top of technological tweaks and resource changes. To distinguish themselves from the casual searcher, info pros need to deliver relevant results in a timely and professional manner. They must recognize high quality sources. WebSearch University teaches researchers how to maximize the value of Google, efficiently use other major search engines, discover targeted search engines, and cost-effectively deliver results. At WebSearch University, internet searchers improve their skills, add to their intelligence quotient, and refresh their search competencies. Despite a disappointing IPO, Facebook is still the dominant social network both in terms of its user base and the length of time that its users spend on the site. Facebook has had a long relationship with Microsoft's Bing, but with the launch of the "New Bing" last month, Facebook can now become deeply integrated into the Bing search experience. Bing announced New Bing on May 10, 2012, and began slowly making it available to select Bing searchers. As of June 4, the New Bing is available to all U.S. searchers. EBSCO Publishing released an API for EBSCO Discovery Service (EDS). EBSCO Discovery Service API (EDS API) was created for libraries that want to use their own portals or website applications for their discovery service user interface while also providing researchers with the robust metadata, superior content, and enhanced search features from EDS. Impelsys, a global provider of electronic content delivery solutions, unveiled the latest version of its digital publishing software platform at BookExpo America (BEA) 2012. iPublishCentral is a platform that allows publishers to warehouse, deliver, distribute, market, and sell their ebooks without making significant capital or engineering resource investments on their own. The beta version of iPublishCentral 4.0 includes important enhancements for both publishers, who are seeking to monetize their digital assets by selling ebooks to institutions, and for end users, who are downloading those ebooks onto their preferred devices. LexisNexis Legal & Professional announced that it acquired Sanction Solutions. Sanction litigation presentation software provides litigators a single resource to quickly assemble documents, exhibits, transcripts, questions, visuals, and video that will be used to manage and present evidence throughout litigation, categorize them, and then create clear, polished and compelling presentation materials necessary for building a case. Worldreader is a U.S. and European nonprofit whose mission is to make digital books available to children in the developing world, so millions of people can improve their lives. Reports indicate that 50% of schools in sub-Saharan Africa have few or no books (SACMEQ II), slowing learning and societal advancement. As of May 2012, Worldreader had put more than 100,000 ebooks—and the life-changing, power-creating ideas contained within them—into the hands of 1,000 children in sub-Saharan Africa.